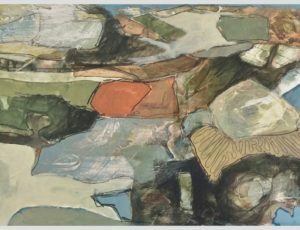 “Jason Lilley could be referred to as a “fourth generation neo romantic” in his return to a late 40s style of depiction. 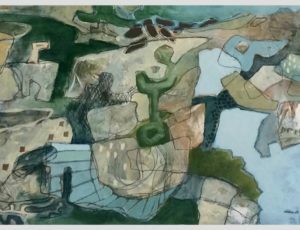 His new works observe and record the inner life of of the north coast, West Penwith landscape, of everything that grows, wriggles, walks crawls and flies its unique Stone and Bronze Age land. 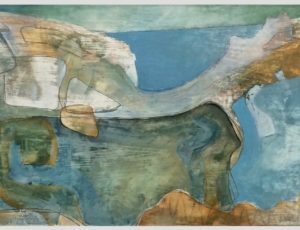 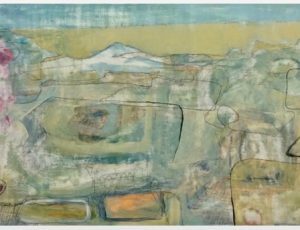 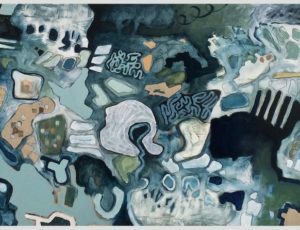 Using a limited colour palette Lilley has evolved a way of sewing the whole painting together using an intestinal, meandering, glyphic, graphic line language. 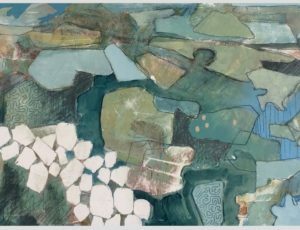 The whole evokes the life, in visual marks, of the sensory experience of driving and walking the West Penwith moors.